While the cause of the crash is unknown, the national weather bureau has said the seasonal tropical storms common in the area were likely to be a factor. 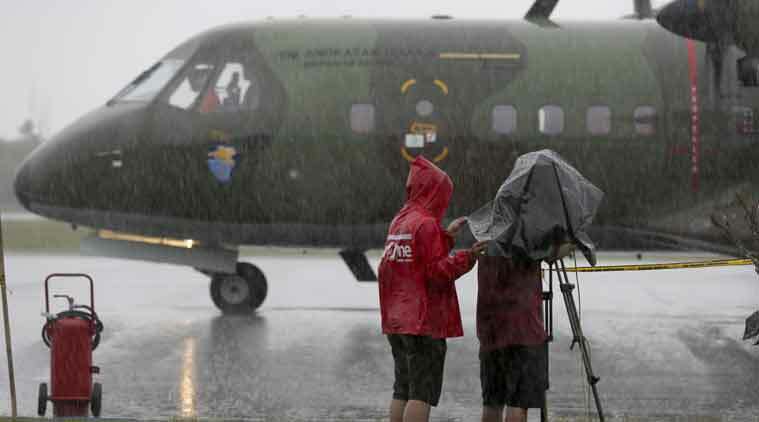 Search teams including divers took advantage of a let-up in bad weather on Tuesday to try to reach the wreckage of an AirAsia jet that crashed nine days ago, and to recover bodies and find its black box flight recorders. Indonesian officials believe they may have located the tail and parts of the fuselage of the Airbus A320-200 at the bottom of the Java Sea, but strong currents, high winds and big waves have hindered attempts to investigate the debris. Flight QZ8501 plunged into the water off Borneo island on Dec. 28, about 40 minutes into a two-hour flight from Indonesia’s second-biggest city of Surabaya to Singapore. There were no survivors among the 162 people on board. Jakarta has launched a crackdown on its fast-growing aviation sector since the crash, reassigning some officials and tightening rules on pre-flight procedures in a country with a patchy reputation for air safety. “Today’s weather is friendly, the team can work,” the head of Indonesia’s search and rescue agency, Fransiskus Bambang Soelistyo, told a news conference in Jakarta. Soelistyo said the multinational air and sea operation had two objectives: to recover bodies and wreckage floating in an ever-widening search area in the northern Java Sea, and to find wreckage and the plane’s black box on the ocean floor. The latter effort is focused on an area about 90 nautical miles off Borneo, where ships using sonar have located five large objects believed to be parts of the plane – the largest about 18 metres (59 feet) long – in shallow water. The captain of an Indonesian navy patrol vessel said on Monday his ship had found what was believed to be the tail – a key find since that section of the aircraft houses the cockpit voice and flight data recorders – but Soelistyo said that could not be confirmed. Only 37 bodies of the mostly Indonesian passengers and crew have been recovered. 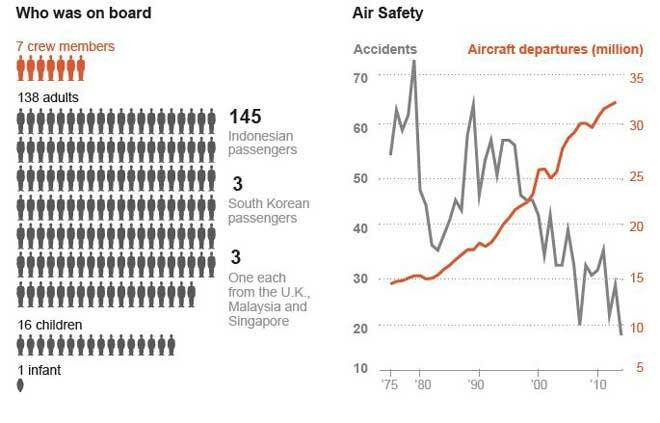 Many more could still be trapped in the fuselage of the aircraft. “Why are we trying to search the big parts of wreckage? Because there might be the possibility that there are still victims in the body of the plane,” said Soelistyo. Some divers were in action, and five ships were scouring the sea floor with acoustic “pinger” detectors designed to pick up signals emitted by the black box, he said. 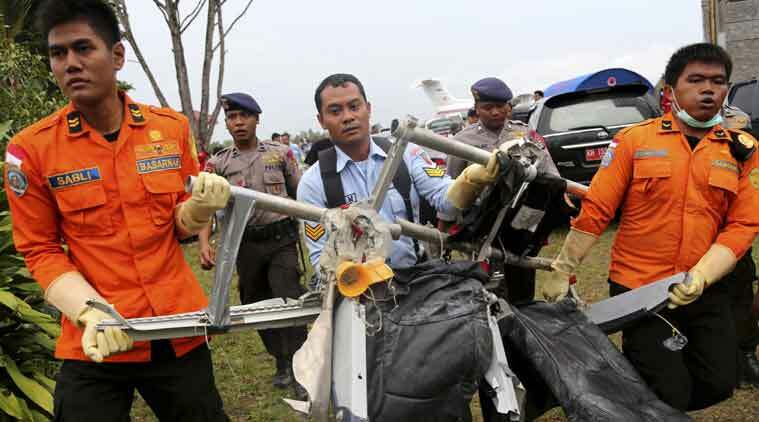 The crash was the first fatal accident suffered by the AirAsia budget group, whose Indonesian affiliate has come under criticism from the authorities in Jakarta since the disaster. The transport ministry has suspended Indonesia AirAsia’s Surabaya-Singapore licence, saying the carrier only had permission to fly the route on Mondays, Tuesdays, Thursdays and Saturdays. 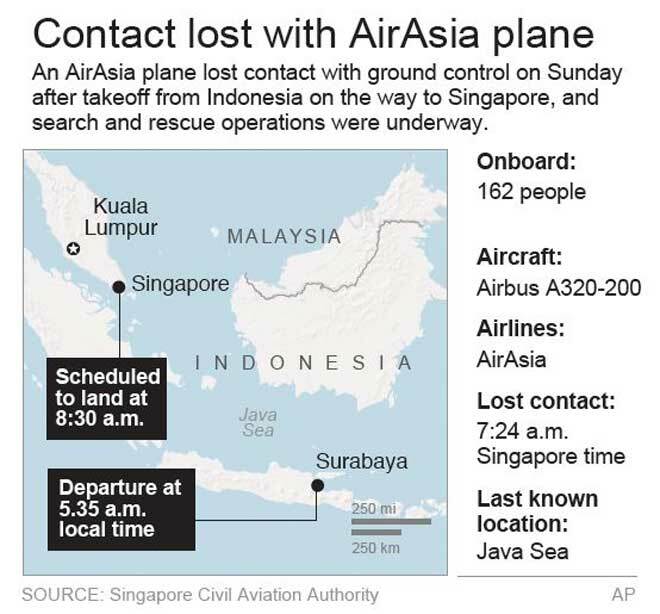 Flight QZ8501 took off on a Sunday. Indonesia AirAsia, 49 percent owned by Malaysia-based AirAsia, has made little comment, but said it would fully cooperate with investigations. While the cause of the crash is not known, the national weather bureau has said the seasonal tropical storms common in the area were likely to be a factor. Last week, the authorities questioned whether the pilot had followed proper weather procedures. On Monday, the transport ministry said officials at the airport operator in Surabaya and air traffic control agency who had allowed the flight to take off had been moved to other duties while the accident investigation is completed. It also said it had issued a directive making it mandatory for pilots to be briefed face-to-face by an airline flight operations officer on weather conditions and other operational issues before every flight. But its safety record is chequered. The European Commission banned all Indonesia-based airlines from flying to the European Union in 2007 following a series of accidents. Exemptions to that ban have since been granted to some carriers, including Garuda and AirAsia.